Chilorio is a specialty of Sinaloa, Mexico. I’m serving it here with Ensalada de Bodas, another specialty of the northern Mexico region. Chilorio is a type of pulled pork that is cooked by boiling, a technique that dates back thousands of years. 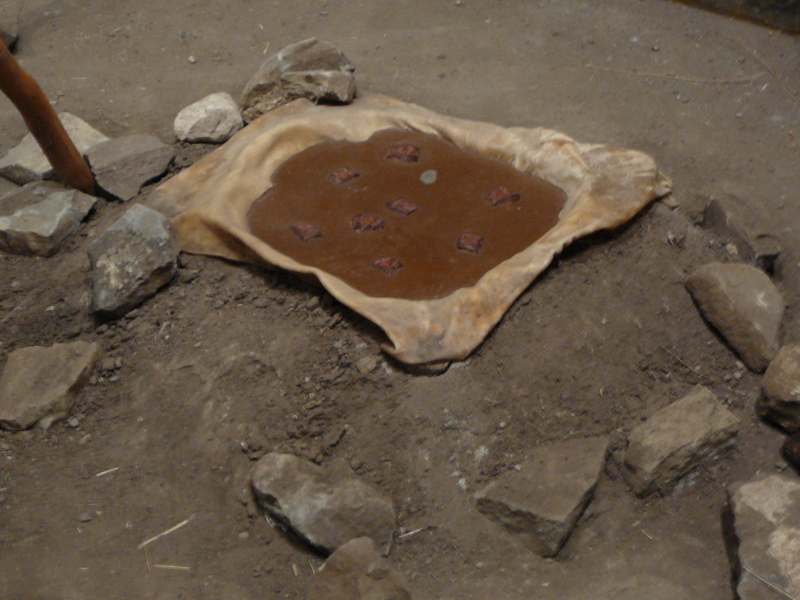 As seen here, the cooking implement is made by digging a bowl in the Earth, covering it with bark or hide and adding hot stones to bring the water to a boil. (photo courtesy nativeamericannetroots.net) As the meat cooked slowly, it became “fall apart” tender. This technique was employed by the Indians of what is now Texas and Northern Mexico. 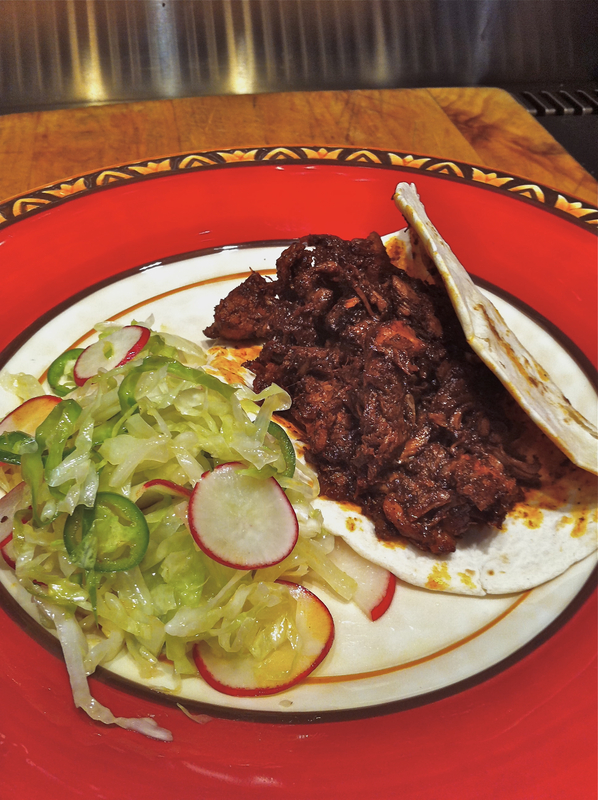 They traveled back and forth across regions so it is not surprising that the Chilorio pulled pork of Sinaloa is similar to the Chile con Carne of TexMex. 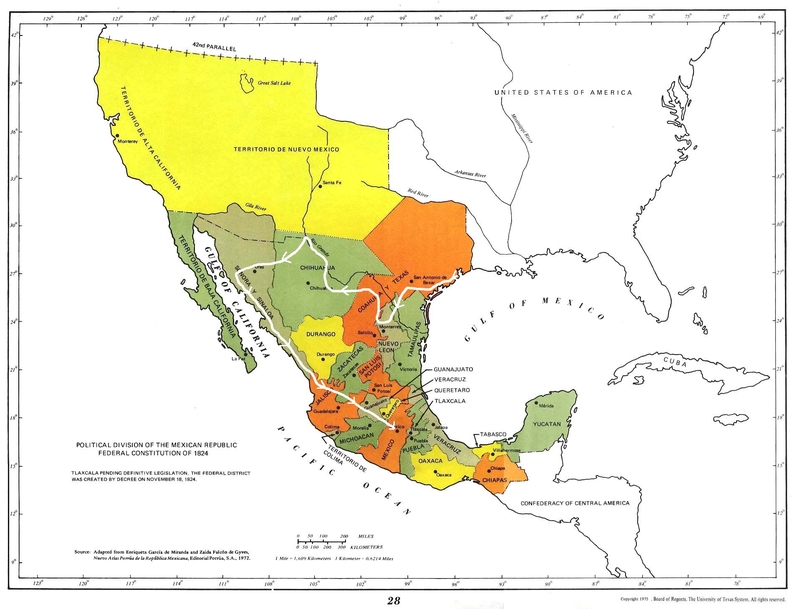 Indeed, on this map of 1824 Mexico(1) I drew the route that Cabeza de Vaca followed in 1500’s to travel from Galveston to Mexico City. I traced the white line to show that, as the natives did at the time, he traveled from Galveston all through Sinaloa. (I based this route on the one researched and drawn by Alex D. Krieger, University of Texas Press) There were other similar travel routes that made it commonplace to exchange cooking techniques and ideas. In this recipe I’ve used Canola oil instead of lard.